It’s very common to wake up feeling sick after drinking too much alcohol. How does a hangover feel like? The most common symptoms are fatigue, dry mouth, headache, and sensitivity to noise and light. How to deal with a hangover? Is there a hangover medicine or can holistic remedies do the trick? Most people don’t want a hangover IV. Read on to find out how to cure a hangover without using medications. How to choose the veisalgia remedy? Is sleep the best thing for a hangover? Is drinking water good for hangover symptoms? Is working out the best way to cure a hangover? Hot bath and sauna: is it a cure? How to stop a hangover with supplements? When to get medical attention? How To Get Over A Hangover: Do Cures Work? When someone drinks alcohol, the liver takes time to break down the ethanol and process it. Severe hangover symptoms develop when the liver has done its job, and blood alcohol levels fall to zero. As the body readjusts to the lack of alcohol, symptoms such as fatigue, headache, thirst, and noise sensitivity develop. What is the best thing to do for a hangover? How to sober up? Do cures work? The bad news is there is no way to completely get rid of the symptoms. The good news is that it is possible to reduce the severity of the effects.. What is the best hangover cure? What works best for hangover symptoms such as headache, dry mouth, and light sensitivity? There are some things a person can do that don’t involve taking medications. Read on to find out how to cure a hangover. The only thing that can reliably and effectively get rid of the symptoms is time. Most remedies that claim to be cured simply offer symptom relief, but the aftereffects of the alcohol remain. How to prevent hangovers? Cures such as hair of the dog are not recommended and can actually be quite dangerous. Typically, the symptoms start several hours after a person drinks alcohol, peak when the blood alcohol level is zero, and go away in about 24 hours. The amount and type of drinks consumed play a role in how long the symptoms last and how effective the cures are. Some drinks cause hangovers that are worse than others. 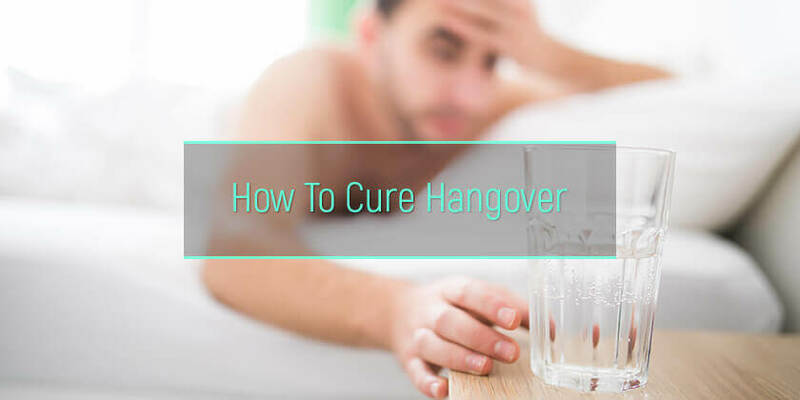 How to get rid of hangover symptoms with natural methods? What is the fastest way to cure a hangover? Let’s find out. Alcohol can put a person to sleep, but it will not be the most restful or deep sleep. Drinking tends to cause interrupted sleep, which in turn causes the person to feel worse the next day. How to fix a hangover? A good night’s sleep is essential and may be the best cure for the worst symptoms. Many people find undisturbed sleep is the best among all the hangover home remedies as it allows the body time to recover. A quiet, dark room with ambient temperature can aid in sleeping off the most distressing symptoms a person is experiencing. Alcohol is a diuretic, i.e., it causes increased urine production and fluid loss from the body. Some of the worst symptoms after drinking, such as thirst and headache, are a result of the dehydrating effect of alcohol. How to feel better after drinking? Staying hydrated with clear liquids is an effective cure. Water is the best hangover cure drink. When a hungover person drinks a lot of water, they replenish the lost fluid in the body. It’s a good idea to have a glass of water before bed, drink more water during the night, and keep sipping water throughout the next day. One of the worst symptoms following a night on the town with free-flowing drinks is nausea. The last thing on a person’s mind when they are hungover is eating. The idea of eating something can sound terrifying. But it is important to eat. Blood sugar levels are low the morning after a night of drinking, resulting in symptoms such as fatigue and weakness. The body needs energy and nutrition to get back to fighting fit. How to make a hangover go away? The best hangover food is a healthy breakfast consisting of toast and fruit. It’s a good idea to avoid greasy snacks that can worsen nausea. An energetic workout after a night of partying and a bit too much alcohol may be just the thing to kickstart the body back into action. But is this a good natural hangover cure? And what is good for a hangover in terms of the type and intensity of exercise? It’s important to keep some things in mind. One, physical performance will not be at its peak due to the aftereffects of alcohol. Two, exercising can lead to sweating, which can worsen the dehydration the body is already experiencing. It’s sensible to go easy and stick to moderate exercise. It’s also important to remain hydrated while working out with energy drinks or water. Hot Bath Or Sauna: Does This Cure Work? Is a hot bath or sauna the answer to the question of how do you cure a hangover? While this cure may sound tempting to someone who is hungover, some caution is warranted. The heat in a sauna can ease some of the symptoms and relax the body, but it causes a person to sweat excessively, adding to the dehydration caused by the alcohol. Also, there are concerns that exposure to a sauna can lead to an increase in heart rate and a decrease in blood pressure, so it may not be the best holistic cure, especially in heart patients. There are several herbal supplements that may be an effective cure for the worst symptoms after a night of drinking. Some people swear by NAC hangover treatment, while for others ALA (alpha lipoic acid) works wonders. Vitamins for hangover are also an effective cure. These remedies work by supporting the liver in detoxing the body. They are antioxidants or precursors of antioxidants that bind to the toxic byproducts of alcohol breakdown which cause some of the worst symptoms. What to do when you have a hangover? Multivitamins, hangover shots, electrolyte replacements, and supplements like NAC, ALA, and milk thistle may help a person feel better. The effectiveness of other holistic cures, such as kombucha for hangover, remains controversial. Most uncomfortable symptoms after one night of drinking go away in about 24 hours. At the most, a person may experience the dreaded two-day hangover when none of the cures work. However, if the symptoms last for longer than 24-48 hours, it is a cause for concern. 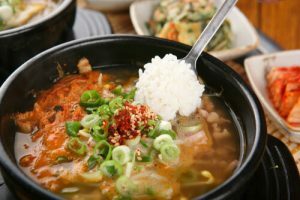 What to do for hangover effects that don’t abate with cures? When is it necessary to visit a hangover clinic? It is essential to seek medical attention for severe symptoms following heavy drinking because these may be signs of alcohol poisoning, which is a life-threatening emergency. Slow or irregular breathing, confusion, seizures, unconsciousness, blue skin, and low body temperature are all signs that require immediate professional medical help. The best way to cope with the hangover underlying causes is to recover in the rehabilitation center for alcohol addiction.